February 10, 2015. In its 25th annual New York State briefing book, the Fiscal Policy Institute analyzes and comments on Governor Andrew Cuomo’s 2015-2016 Executive Budget. Governor Andrew Cuomo’s Executive Budget proposal takes some positive steps forward in clearly acknowledging, for the first time in his tenure, the incredible child poverty and income inequality that exist in our generally affluent state and recognizing the need to give greater property tax relief to those who need it most rather than spreading it too thinly. However, for every step forward the governor takes in addressing some critical issues, he takes two steps back by continuing his austerity spending at a time when we need to be investing in New York and by conditioning positive proposals on toxic and often unrelated requirements. The governor should put his austerity budgeting behind him by scrapping his self-imposed two percent state spending cap. Otherwise, his proposed new measures to address poverty will necessarily be paid for by cutting elsewhere in the budget important human services spending and state programs that serve the middle class. Weakness in the upstate economy continues, and its recovery is hampered by struggling local governments. Hardships affecting many with low and moderate incomes have mounted in recent years, and yet the state has turned its back. New anti-poverty initiatives must go hand-in-hand with meaningful funding restorations in human services, focusing school aid on high-needs districts (without making such aid dependent on reforms), expansion of opportunities in higher education, and new resources for fiscally stressed local governments. State tax revenues, total wages, and personal income are projected to grow by four to six percent annually over the next four years. There is no reason to hold annual spending growth below two percent if it means that we are under-investing in education and poverty reduction. The sheer magnitude of continued spending cuts forced by the two percent spending cap—$1.7 billion in FY2017, $3.3 in FY2018, and $4.8 in FY2019—although particular program areas are unspecified today, will inevitably starve our schools and public universities and prevent our state from making the investments needed to expand opportunities for those struggling to lift themselves out of poverty. In the governor’s “Let’s Make a Deal” budget proposal, too many of the otherwise good public policy initiatives are linked to the acceptance of bad policy that in some cases undermines the initial proposal and in others is utterly unrelated to it. This represents Albany wedge politics at its worst. The governor proposes increasing education funding by $1.1 billion (only half of the $2.2 billion that nearly every education and student-focused organization in the state is demanding), but only if the legislature agrees to draconian education reforms that mistakenly blame teachers for poor student outcomes in underfunded, high need, low wealth districts. As our report suggests, we need more education funding in high needs districts and a serious investment of state funds in combatting child poverty if we are to improve graduation rates. The governor proposes a property tax relief plan (Circuit Breaker) that wisely ties a family’s property tax burden to its income level, targeting relief to over one million New Yorkers that need it the most. However, he destructively links this relief to local compliance with a misguided property tax cap, and he funds the needed tax relief with future surpluses predicated on billions of unspecified future spending cuts that will be required by his self-imposed two percent state spending cap. Similarly, the DREAM Act is a clear win for the state, with a modest cost and a strong return on investment. But, rather than support it outright, he ties it to the misguided and controversial Education Investment Tax Credit, which provides the greatest economic benefits to the wealthiest New Yorkers and allows private interests to dictate education spending. This year, New York State faces the extraordinary situation of having a surplus of $5.4 billion in funds resulting from settlements related to banking industry malfeasance. The governor proposes allocating a large portion of the $5.4 billion in bank settlement funds to much-needed infrastructure repairs, as is highly appropriate. However, the Executive Budget also includes a proposal to divert $1.5 billion of this money to a “cut throat” competition among the seven upstate Regional Economic Development Councils (REDC), with all seven REDCs competing for 3 pools of $500 million. Upstate economic development is a crucial state priority, but what’s needed is a smart overall strategy for development, not an approach that pits one region against another. In the 1960s and early 1970s, toward the end of the three decades after World War II when the middle class was growing and living standards were rising, the minimum wage was half of the average wage. The governor’s proposed $11.50 minimum wage for New York City and $10.50 for the rest of the state is a good first step, but it would lift the minimum to about 30 percent of the average wage in New York City and statewide. We should aim higher, as several states and large cities are doing, as well as making sure that the minimum wage is automatically adjusted in the future to prevent inflation from eroding its value. 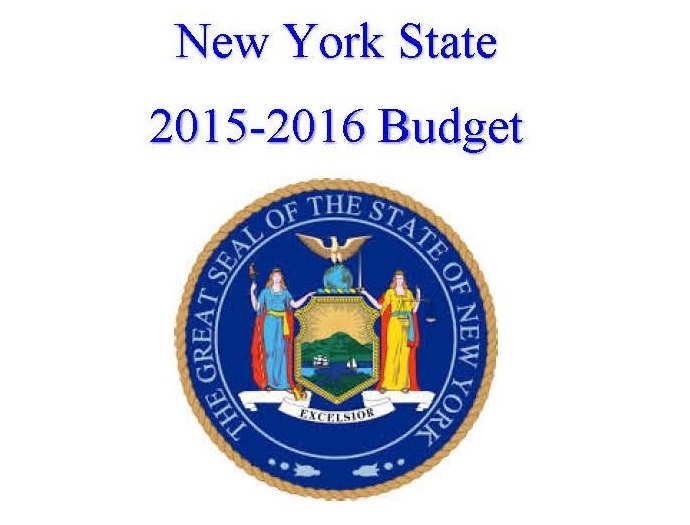 The governor dubs his budget an Opportunity Agenda for New York. There are, however, far too many missed opportunities in this budget proposal. What New York really needs is a Shared Opportunity Agenda, one that will benefit all New Yorkers. We must devote more resources and apply less politically encumbered policy to our schools, to our communities, and to strengthening our safety net if we are to truly combat income inequality in our state.